It feels like we’re being repetitive, but can anyone stop Kyle Busch? 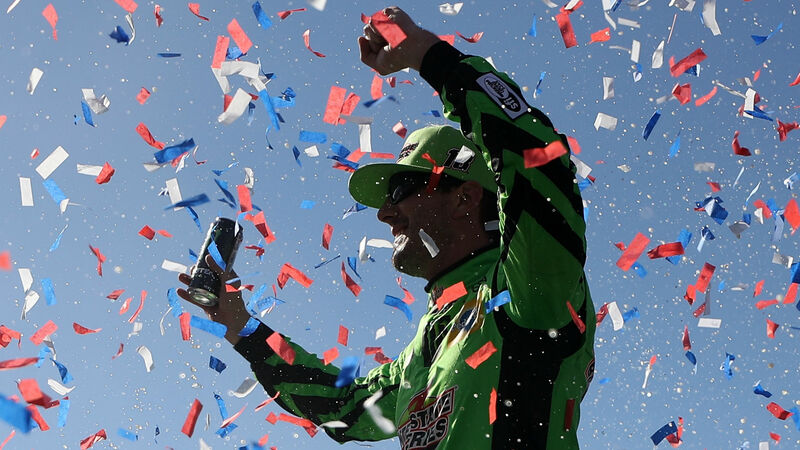 All Busch has done lately is win, win, win as he has left each of the last two races victorious while taking home victories in the truck series and Xfinity Series over the last three weeks as well. And it’s bad news for everyone this week as the Series heads to the shortest track on tour in the half-mile Martinsville Speedway. Busch has two career wins and 15 top-5 finishes in his career at the track and he has the best car right now. Joey Logano is the defending champion on the track and is driving well with a win and three top-10 finishes in his last three races. Martin Truex Jr. doesn’t have a win yet this season, but he could look to avenge a bitter defeat in the playoffs last year that came at the hands of a bump from Logano. There’s sure to be fireworks once again this weekend in Virginia. What time does the STP 500 start? The STP 500 will take place Sunday, March 24. Live coverage begins on FS1 at 2 p.m. EST. The STP 500 will be broadcast nationally on FS1. The race can also be live-streamed on the Fox Sports Go app or by subscribing to fuboTV, which offers a seven-day free trial. All of the events leading up to the week, including practices and races for the Truck Series can be seen on NASCAR.com, PRN, MRN and FS1. Here’s a daily schedule of events leading up to the STP 500. Below is the full entry list for the 2019 STP 500. The starting lineup will be updated following qualifying.